1. Humpty Dumpty is also considered as popular riddle in the english language. 2. Though the character is described as an egg, it is actually believed to be a person . Few say the Humpty Dumpty refers to a powerful canon used in the English Civil war which got damaged during the war. 3. 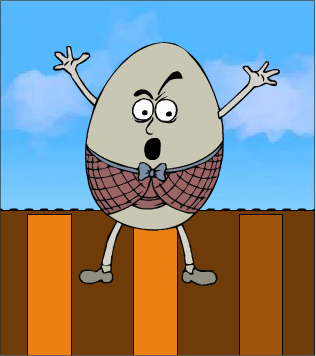 Humpty Dumpty character also makes a guest appearance in the "Alice in Wonderland" by Lewis Caroll.